← Stating The Obvious 0567 – Rage At Weyland-Yutani Episode III: More Lessons and Less Rage. Why do you keep trying to climb the greasy pole? Because it’s there. 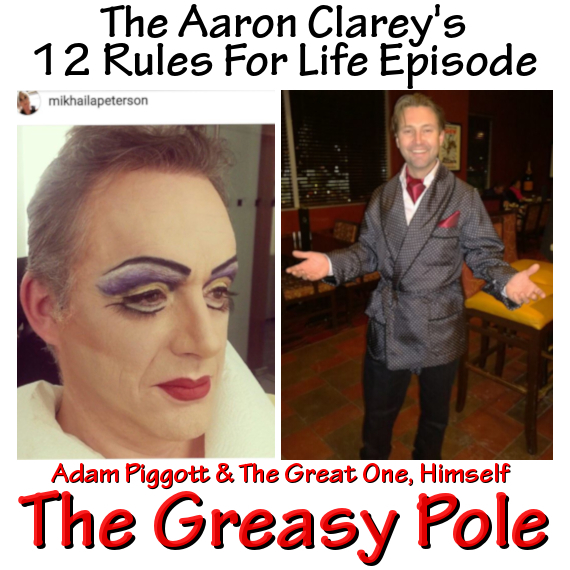 And finally what are Aaron Clarey’s 12 Rules For Life? TGO and AP outline Cappy’s next best selling book. At the very least his upcoming twelve part series over at Captain Capitalism dot blogspot dot com. Yes, yes . . . All this and many many tangents which will offend the snowflakes and delight the deplorables.